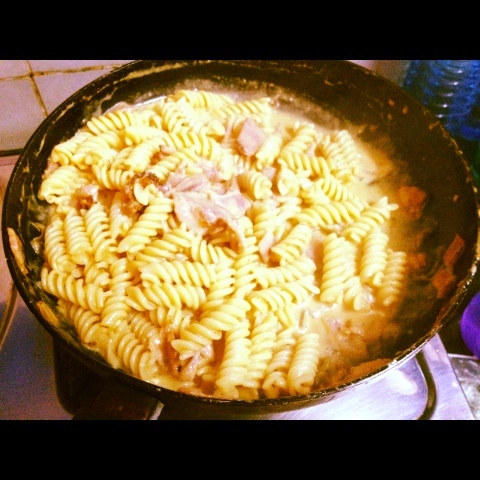 Take out pasta which was pre-boiled and kept in the fridge. Switch on the gas burner, put a pan on the gas and a film of olive oil on the pan. Once heated add a teaspoon of garlic paste. Stir, then add chopped bacon. Stir, add some chopped cheese cubes, a tablespoon of ketchup. Stir. Add a mug of milk with a tablespoon of cornflour dissolved in it. Bring sauce to a boil and then reduce flame. Add the pasta. Some salt and dried pizza herbs. Stir and then serve on plate and top with balsamic vinegar. Butter was already over at home and now cornflour too. The pantry is getting empty as we prepare to move houses. Few lanes down. 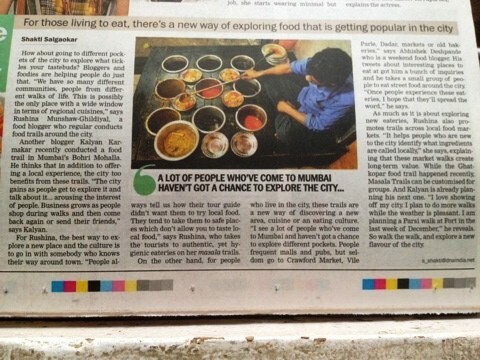 PS Shakti Salgaonkar wrote about food walks in the DNA today and kindly mentions the Bohri Mohalla walk too.